Are you having difficulty winding down at the end of a long day? Is stress or muscle tension making it hard to fall asleep -- and stay asleep? Many sleep experts recommend including a short yoga practice in your bedtime routine to promote deeper, more restful sleep. Yoga doesn’t just help prepare your physical body for sleep -- releasing muscle tension and inducing relaxation -- but also works to quiet the mind to make the switch from a waking to sleeping state much easier. Thankfully we live in a time when we can access thousands of yoga practices through the click of a button. But which one is right for you? We’ve compiled a list of the 25 Best Yoga Routines For Sleep: and we promise that whether you’re a veteran yogi who has been practicing for years or someone who is trying yoga out for the first time there is a video for you! If you’re short on time this “5-minute miracle” class from Boho Beautiful will leave you with no excuse not to fit in that yoga practice. This very basic class can be practiced almost anywhere -- even in your bed. The soft tones of the music and beautiful setting of Ontario’s Sandbank Provincial park will help lull you to sleep. POPSUGAR has a quick and simple yoga routine to help prepare your body and mind for bed. While the postures are on the easy side, the video itself moves rather quickly so if you’re new to yoga you may want to watch through once before jumping in yourself. At just 5-minutes this is a great quickie practice anyone can fit into their bedtime routine. 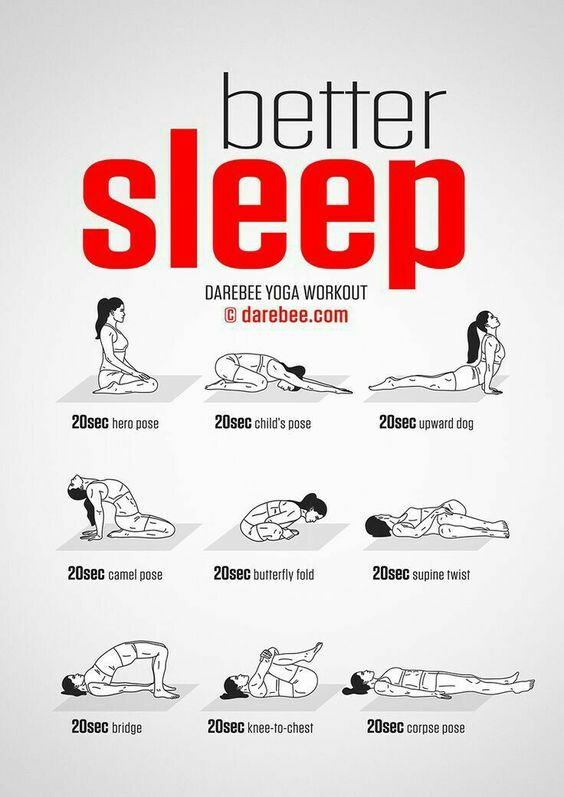 Looking for a super quick yoga boost to better your sleep? This routine featuring only 9 poses can be completed in under five minutes. Some of the poses including here, such as Hero and Camel are on the more difficult side and are not great for everyone. If you experience any pain in the knees or back while attempting these postures skip them! Silvia from Satya Yoga has yet another routine that is perfect to do in bed before tucking yourself in at night. Her soothing voice guides you through this quiet, blissful practice featuring long stretches that will help release any tension you’re holding throughout your body. She does include a warning about performing one of the poses on your bed so please heed her advice! For a simple, straight-forward bedtime yoga practice look no further than this soothing routine by Yoga With Katie. Focus on stretching and softening your entire body with these gentle postures that are great for beginners and seasoned yogis alike. In just 10 minutes this no-fuss yoga routine will have you prepped for your pillow. Just go as far into poses as feels comfortable to you. If you have issues with your neck skip plow pose and shoulder stand altogether. Definitely want to pull out the yoga mat for this one! Opt for a tighter top so it does not get in the way during forward folds. If you’re someone who tends to have a bit of excess energy (mental or physical) at the end of the day, this slightly more energetic flow from Boho Beautiful is a great solution. Work off that excess steam while refocusing your mind to come to a state of relaxation. However, this routine is best done earlier in the evening and not right before bed. Lesley Fightmaster has a great yoga quickie flow to get you in the right gear for sleep. This 10-minute practice incorporates some strengthening exercises, as the effort can help you to more fully appreciate the relaxation that follows. While a little more demanding, the postures are still well within range for beginners. This is another one you should schedule for a bit earlier on in the evening. For a very traditional yogic approach to relaxation try this simple guided meditation. This ancient technique is a very simple way to bring your attention inwards, releasing excess tension in both body and mind. Simply lie down on a comfortable surface and begin to scan your body -- focusing on each point along your body to create a supremely relaxed state. This is a great meditation to practice once you’ve already tucked in for the night. Completely new to yoga? No problem! This quick 13-minute yoga practice with Savannah from YogaTX is the ideal pace for yoga newbies. You’ll follow your breath as you flow in and out of simple poses, focusing on deep stretching to relax your entire body and mind. This simple yoga practice only includes 6 postures so it can easily be memorized and completed whenever and wherever you’d like. You can choose to hold the postures for a short period, or really invite in a sensation of relaxation and release with longer holds. While in each pose, focus on your breath and the various sensation the stretches bring about to quiet the mind. Once completed, simply roll over and drift off to sleep! Yoga With Tim’s 15-minute restorative yoga practice makes a great compliment to any workout regimen. Tim recommends that you include at least one restorative practice each week to give your body a dose of much needed TLC. 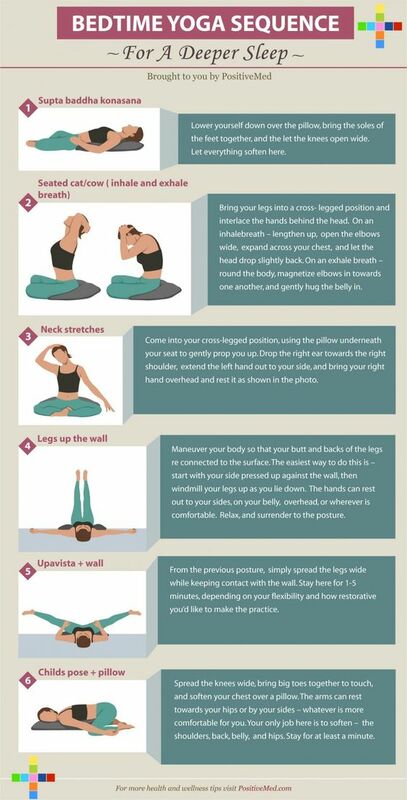 This low-key routine includes gentle stretches and supported postures to help you wind down and prepare for sleep. If our first Yin offering was a bit on the long side for you, here’s a quick routine by Caren Baginski. This practice is far more prop reliant, but you can substitute for common household options if you’re missing anything. Props are a great way to help support your body in stretches to allow for complete release of your muscles. While 15-minutes long this routine actually only includes 3 poses! Allie from The Journey Junkie personally struggles with getting a good night’s rest. She put together this short yoga sequence to help reduce the time it takes you to fall asleep and improve the quality of your sleep. Make yourself extra comfortable by cushioning your mat with blankets, or even perform this routine in bed -- drifting off in your final resting pose. 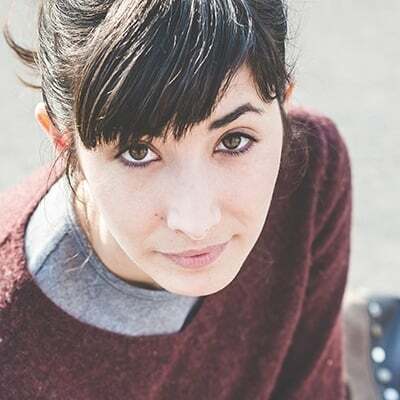 Adriene is one of the most popular YouTube yogis and this practice is a perfect example as to why. Feel free to close your eyes as she guides through through a slow, focused flow. You’ll stay on the floor the entire time, giving each muscle group the attention they need at the end of a hectic day. Many of us carry a lot of tension in our hips and lower backs. When it comes time to sleep these tight, sore muscles can make it very difficult to get comfortable. This 20-minute yoga practice from SarahBethYoga targets these areas, stretching and improving the alignment of your spine while relaxing to promote sleep. Cole Chance YogaTX wants you to take it easy and embrace the soft side of yoga with this 20-minute bedtime practice. You’ll stay on the floor for the entire length of this routine, focusing on creating length and space in the body to invite in a feeling of peace and relaxation. This practice keeps it simple making it beginner friendly; and you won’t need any fancy props -- or even a yoga mat if you’re missing one! If you’re looking for a little more advanced yoga flow, this 20-minute workout from Jason Crandell is a nice option. This routine includes a lot of shoulder and hip openers, focusing the attention on those areas that accumulate the most tension throughout the day. Keep in mind that while this practice is a bit more challenging you should still perform the flow with a restful state of mind -- don’t strain yourself! While not specifically made to target sleep, this routine from Yoga With Adriene is a great practice for those who have difficulty drifting off due to ruminating thoughts caused by anxiety and stress. Take these 25-minutes to let go of anything that’s cluttering your mind. Adriene guides you through simple breathing techniques that are proven stress busters! Often it’s not physical tension but mental tension that’s preventing us from getting a good night’s rest. This PsycheTruth yoga routine focuses on deep relaxation to relieve anxiety and stress. The slightly longer length of this practice allows you to really take the time you need to get into the right mindset to drift off once you head to bed. This 30-minute relaxing yoga routine from PsycheTruth is another great option for beginners. Erica Vetra starts the practice with some breathing exercises to really slow your nervous system down so you can fully appreciate the calming nature of the routine. She provides thorough direction, walking you through each pose so you won’t have to do any guesswork. If stiff muscles are keeping you up at night, or you suffer from leg cramps, this full body stretch video with Cole Chance from YogaTX will have you feeling loose and relaxed. A bit on the longer side at 30 minutes, this practice leaves no muscle feeling left out. As you release the physical tension through these stretching exercises you’ll be able to relax more fully and avoid tossing and turning in bed. Lesley Fightmaster created this 30-minute practice after her followers requested a routine to help treat insomnia and promote deeper sleep. You’ll need a few props for this one, but nothing you can substitute with household items. Lesley is trained in both Yin and Hatha yoga, and this practice mixes the best of both for a comprehensive approach to yoga for sleep. Yoga With Adriene is back with yet another amazing yoga routine for sleep. Change into something comfortable (pajamas are ideal!) and focus on releasing tension while flowing through these gentle postures. Slowing down will allow each movement to massage your body and quiet your mind. If you’re looking for a longer routine to really wash out the stress you’ve accumulated throughout the day, try yin yoga. This full-length class from Yoga With Kassandra is the perfect recipe to unwind and with deep stretching and meditation. We also love that unlike many yin workouts, Kassandra keeps it simple using minimal props. With a variety of lengths and difficulty levels, simply choose the routine that fits your schedule and skill level and get ready to wash away a stressful day. You can even try them all to see what works best for you! Hypnic Jerk: Should You Be Worried About Twitching In Your Sleep? Additionally, www.nestmaven.com participates in various other affiliate programs, and we sometimes get a commission through purchases made through our links. We may receive products for free for review.